← From the newest piece of the pie..
With the new year comes resolutions and many of those lean toward healthy eating. Now we love a good thick, cheesy, creamy and caloric macaroni and cheese just as much as the next guy, but sometimes, lets face it, we need to lighten it up. 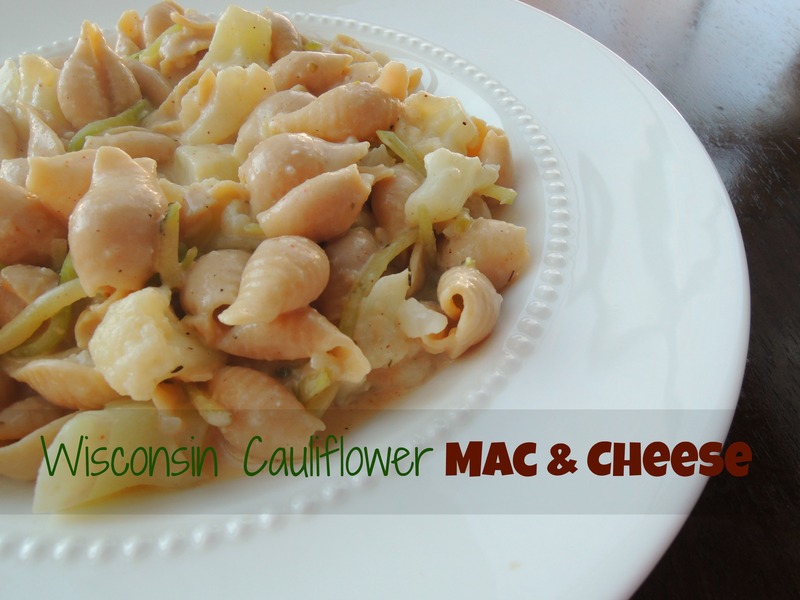 So we are kicking off the new year with a guest post from Carrie over at Diet Deep Dish who is bringing us a delicious recipe for Cauliflower Mac & Cheese…Wisconsin Style. Hello! I’m Carrie from the blog, Diet Deep Dish, and I am so honored to provide a guest post for Haute Apple Pie! I share the HAP ladies’ passion for creating simple, delicious recipes with a Midwestern flair. 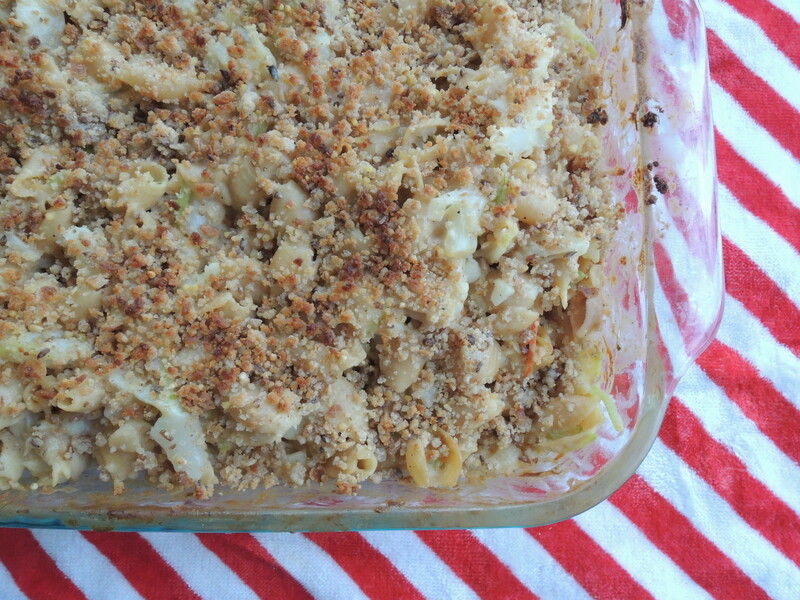 My goal is to lighten-up your favorite comfort foods, so what better way than to start with Mac and Cheese? This recipe ups the nutrients with whole grains, cauliflower and broccoli, but is just as creamy and satisfying as the original. I brought this to our family Christmas, and adults and kids alike went for second helpings. I hope you enjoy! Craving more mac and cheese? Check out these past HAP recipes! 1. Bring a large pot of salted water to a boil and add the cauliflower. Cook until tender, about 5 minutes. 2. Remove the cauliflower with a slotted spoon and add the pasta and broccoli slaw to the same boiling water. Cook until tender. Drain the water and add the cooked cauliflower to the pasta and broccoli slaw and set aside. 3. Meanwhile, melt the butter or butter substitute in a skillet. Whisk in the flour until combined. Slowly whisk in the milk, broth and seasonings and cook until thickened, about 5 minutes. 4. Stir in the shredded and cream cheeses. Add salt and pepper to taste. Pour the sauce over the pasta mixture and toss to coat. Pour into a greased 9×13 in baking dish. 5. To prepare the topping, place the bread (or bread crumbs) and goat cheese in a food processor and pulse until combined. Melt the butter in a saucepan and cook the bread crumb mixture until lightly toasted, about 5 minutes. Sprinkle mixture over the mac and cheese. 6. Preheat the oven to 350 degrees F and bake uncovered for 15 minutes. Enjoy!